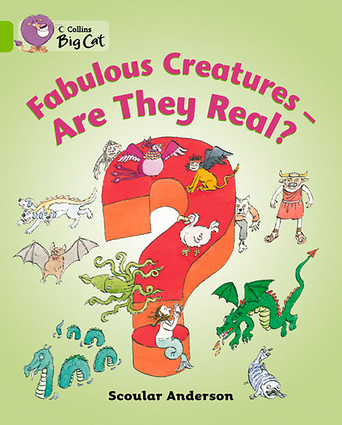 This witty information book describes real and imaginary creatures, and answers the question - are they real? Some of the creatures are from myths and legends, while others are genuine. Included are the Loch Ness Monster, about which there is disagreement, the vampire bat, and the yeti.• Lime/Band 11 books have longer sentence structures and a greater use of literary language.• Text type - An information book.• A table on pages 30 and 31 summarises the information about each of the creatures in the book providing an ideal opportunity for children to recap.• Curriculum links - Geography: Where in the world is Barnaby Bear? History: Ancient Eygpt.